Choosing the best roofer for a home should be a concentrated and intense search; after all, the average homeowner replaces his roof well, he never replaces it. And his search is therefore not for a competent roofer, but for the best there is. This is a lifetime investment hes deciding upon. And surprisingly enough, the rules that usually apply to getting a good deal in other areas may not be the best ideas, or yield the best deal, in this case. The first rule most people have whenever theyre buying anything is to buy it from whoever gives the cheapest price. Statistically, however, the best roofers are not cheap. The cheapest roofer isnt likely to do the best or most permanent job. His business may be a novice one and just getting off the ground; the temptation that hits many new companies is to offer the cheapest bids on contractual jobs such as roofing. How do they make the bid work? They use the cheapest materials and cut corners, definitely not what one wants in a lifetime investment. Since one doesnt want a new roofer to work at the homeowners expense, its best to shop around for a middle - of - the - road price range, and a roofer that has credentials, references and a portfolio (all of which should be on his website) showing that he does good, competent and long - lasting work. Obviously the best roofers still want to stay in business, and that means offering competitive prices, but they still will do the job in the best and most competent way after all, their reputation follows them. The second rule most people have is, local businesses are not as good as a national chain. Again, not true. 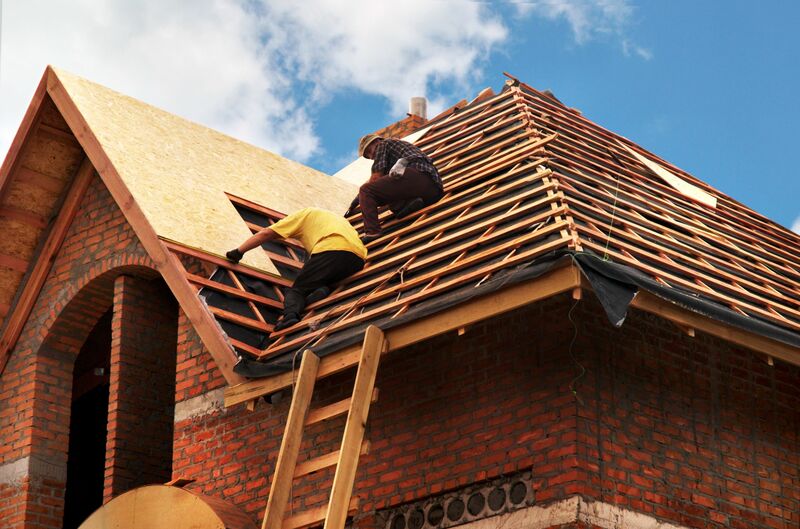 Local roofers are usually the ones who have the inside information on permits and insurance for roofing. For example, in a hurricane - prone area, the licenses, permits and insurance will be far different, and probably more expensive, than other areas of the country. A local man will know the ins and outs of the business far more effectively than a national chain will. The third rule: avoid family businesses, since they rip you off if youre not family. This one is absolutely untrue; a generational roofing business is ideal to use. It has been around for quite a while, no one employed there is a novice just learning his trade, and the business has, in all probability, a sterling reputation with the local community . Theyve been at it long enough that they know what theyre good at, and so do their customers. The fourth rule: management runs the business, labor creates the roofing. Again, this is a totally incorrect conclusion. A roofing company whose managers have also built roofs is a company that has inside information, and hands - on experience, that will be hard for any competition to beat. If sales representatives and managers worked as roofers themselves, these individuals have the business savvy to work exceptionally well with the roofing crew they employ. Now, this is the one rule that is golden, and should always be followed in a contractor search, whether for roofer, electrician or plumber: check the references. This is completely true. If the company has a generous selection of references from satisfied customers, there is nothing in business or advertising that can beat that. One can buy a good website and excellent advertising, but references from others are priceless, because no one can buy a satisfied customer, except by satisfying a customer. So one should always look for good references; they are the absolute best indicator of a fine roofing concern. Those are the real rules for finding the best roofer. Theyve got the customer covered.